Article from The Daily Caller by William Davis. 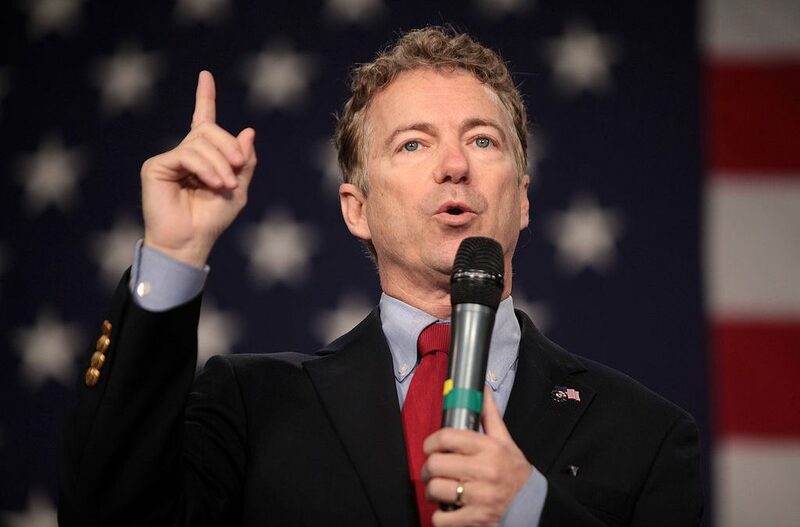 Republican Kentucky Sen. Rand Paul introduced a bill Tuesday to end U.S. involvement in Afghanistan. 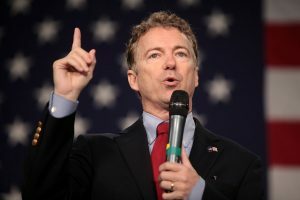 The libertarian-leaning senator introduced the “AFGHAN Service Act,” to end conflict that has been taking place since October 2001, a month following the September 11 attacks. Paul has been a long-time skeptic of American intervention, and a staunch critic of U.S. efforts in the region. What YOU should be doing is supporting our President on building that wall! You will never receive a dime from me again! Support the wall! I mean he is right on his point but wrong overall because his first Duty is to protect the country. I asked him to tell me what he’s done on illegal imm on that. We all know…….NOTHING but blather he has not backed up! Sick of it. Thank you, Mr. Milor. My sentiments exactly! Not another dime until Rand Paul decides to FULLY support our President. Rand Paul, I received your letter requesting a donation for the republicans and promptly filed it in the circular file. You aren’t even a RINO, like your nutty father you are just a piece of moose droppings. Robert…….I think a piece of hyena droppings fits better to two faces Rand. You’ve only proved yourself to be an anti-Trump RINO. The emergency is the topic not a precedent that has already been set by obummer. Back Trump 100% U R over thinking the problem and assume the Dems work for the USA. THEY DON”T! you bought and paid for little coward. Support the people for christ sake. you disgust me. Rand Paul, if you could have cataracts on the BRAIN, you would have them & surgery would be NEEDED BADLY to replace your Brain Lenses! If I remember (and you don’t), when we pulled out of Afghanistan, ISIS was born and has created HELL ever since! You have NOT thought this out! Our presence there should continue just enough to ensure that it doesn’t get worse! In the mean time, YOU IGNORE what we really NEED HERE AT HOME by not supporting our president with our National Security problem at our borders! You SIR, need your Brain Lenses replaced! You can no longer THINK Clearly at all! You are absolutely USELESS being a Senator of our nation! If you cannot do the JOB, GET OUT and go back to helping people with Cataracts! Here’s a message for you Rand. Get behind our President or I am withdrawing my support that you and your father have enjoyed for a very long time. Bite me Rand Paul! I’m done with you since you saw fit to help block POTUS’ emergency declaration to build the wall! He has tried everything to do what is right for this country, and had no choice but declare a National Emergency (which it most certainly is) to get the money needed to safeguard the United States…..and you stab him in the back! Up yours buddy! You’ll never get any support from me from here on out! Screw you! Don’t be a Rino. SUPPORT your President. Sorry I can’t support you any longer and am persuading my friends/family to do the same. When you can’t support our Republican President, with everything that is going on against him, you are one sad person. I’m hoping you don’t get reelected, because we need a Trump supporter in KY.
I’m sure no illegals work their way to his state. I hope one does, and does damage to one of his loved ones. That’s what it takes to sharpen up these assholes. Then after that try acting like a republican senator and support the wall like you’re supposed to! Hopefully this clown will get a few Mexican drug dealers, rapists and especially muggers to be his “neighbors”. I will never support this traitor to our country again! Well “RAND” above We The People are Speaking and they are saying know to you in every move you take, sound’s like it’s time for you to go to pasture or just go away. How dare you Rand to take the constitution and use it as a ploy for your own selfish use. How about supporting our President in securing our borders or is it that you have tobacco fields that need cheap labor. So Mister Rand Paul you have gone to the dark side , you sir have turned democrat RAT. Rand,,,,,,,,,,and his COUBLE face…………He is an excellent coppy of the late McCain and Flake the jerk…. ….He is a creator of the Republi-Chicken party. Rand. I could not care less what you say after what I heard yesterday. Not supporting our POTUS is a low grade thing. And it tells me something about you I didn’t realize. You are an obstructionist and a Swamp Rat in disguise. Well you just “OUTED” yourself Pal. Sorry you lost my support as well as my wife and son, WHY ? Because you are not supporting our President on the southern border, I guess you have never walked on a big city street and saw the filth coming into the USA from the southern border. Pee off Rand, while I delete the 10 different e-mails from you and your dad begging for money. Hope your name is in the slush fund list when and if it ever gets released.